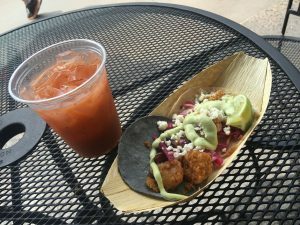 Once a year in EPCOT at Disney’s Walt Disney World there is a celebration of the taste buds called the Food and Wine Festival. There you can check out chef inspired dishes from around the world, sip on fine wines, watch demonstrations from famous chefs themselves, and immerse your senses in a culinary wonderland. 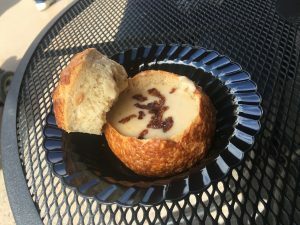 Being a West Coast gal and having never visited WDW, it has always a bucket list item of mine to fly down to EPCOT and enjoy the Food and Wine Festival. It was a pipe dream or so it seemed, until 2016 brought about an “Up and Down California” inspired festival of its own in California Adventure. Finally, Disney made my pipe dream a reality! 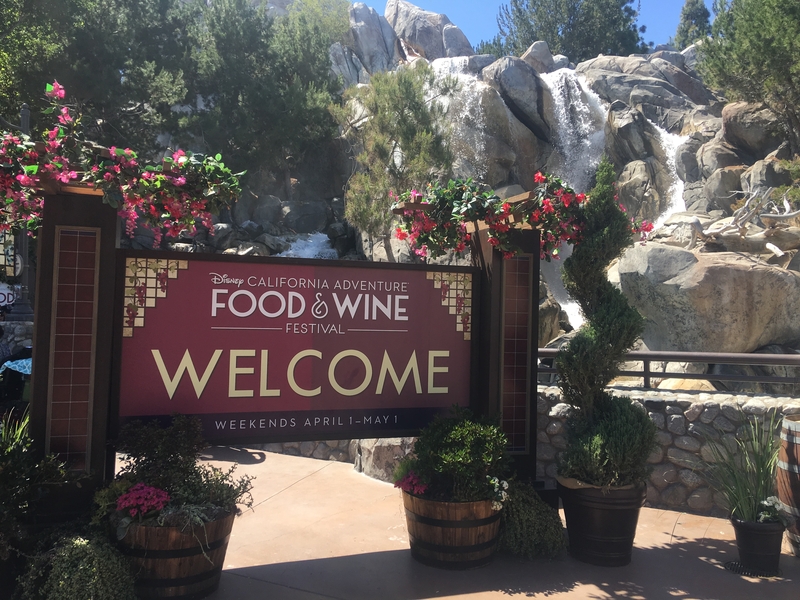 Just like in WDW, the California Food and Wine Festival had booths trailing through the park with a plethora of tasty treats for us to indulge in. My mom and I packed our wallets, and made room in our stomachs, for a dream come true for our taste buds! With a small budget, and over 15 different dishes, we were forced to pick and choose what sounded the most scrumptious to us at the time – but that didn’t stop us from trying new and exciting foods. To start, we travelled to the Gold Rush booth and bought ourselves some Triple Cheese Mac with Smoked Chicken and a Lavender Infused Lemonade with a Lavender Sugar crust on the rim. 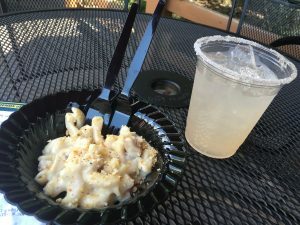 The mac and cheese was average at best but the lemonade was so refreshing! That flowery essence turned a typical lemonade into something magical. Most of the dishes were large enough for 2 so it’s a good idea to share with your partner and save room for some wine! My mom and I found out that not all dishes were as amazing as we had hoped. That’s part of trying new things though, you win some and you lose some. What we did like was quite amazing! And while some of the food is to die for, the lines to get there are less than enthusiastic. Even on a weekday, the California Food and Wine Festival was PACKED as to be expected. There was a line to pay and a line to receive your dishes and neither were very well marked. It took a couple tries and a lot of asking “Which line is this for?” to maneuver the crowds. Also, the chefs were apparently not expecting as many people as showed up and we’d find ourselves in line for some Zinfandel Braised Wagyu Beef for 15 minutes only to hear that they had run out. 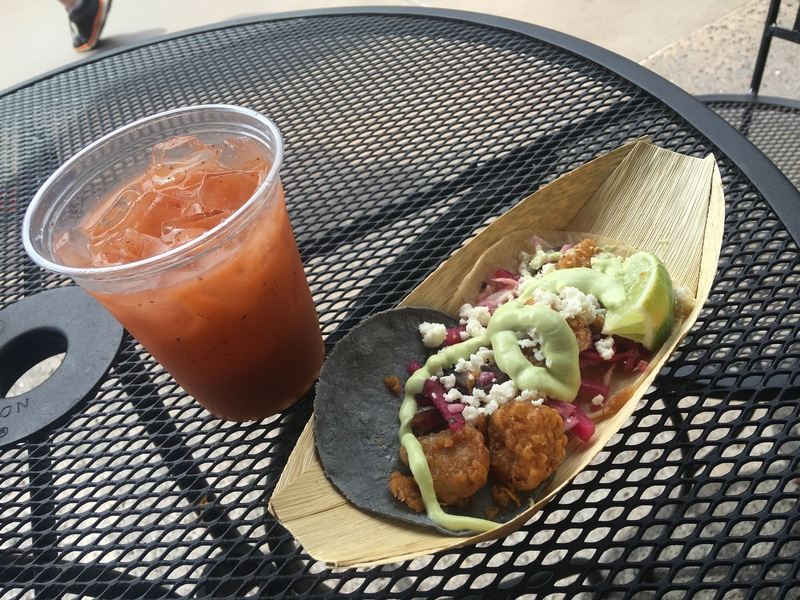 The lines were well worth the wait we found out after we tried the Fried Shrimp Soft Taco with Avocado Crema and Pickled Onions and Strawberry Fresca Drink. Those 2 dishes were hands down the best of the festival. I had to remind myself of my budget several times while wanting to go back for seconds! Seating was a bit tricky. While there were mass amounts of people in line for food, there was minimal seating areas. We’d find that after waiting in the California heat from 25-30 minutes for food – there was rarely any shady areas to actually eat! A few pop up counters with standing room were trickled throughout the walkways and were pretty much at constant capacity, but sitting down was more important to us. DIVA TIP: To stake out a shady table for 2, my Mom would stand in line for the food and I would scour for an empty table while she waited. Once we got that table though, there was no way we were giving it up! We took turns getting new drinks and dishes while the other guarded our spot. Teamwork! My mom and I do not drink alcohol, so we didn’t try any of the wine tastings available – from what I saw they were very popular! And very expensive! Think about $7-8 a glass on the cheap side – and it was a tiny glass let me tell you. That didn’t stop anyone from ordering by the box though! I saw several people walking around with boxes of 5-6 glasses at a time. Must have been worth it I think. 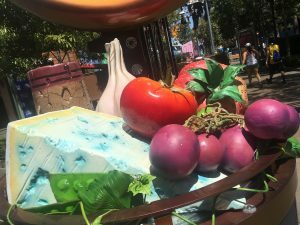 Besides the booths that served the actual food and wine, there were scattered tents that were inspired for the chef in all of us. From fancy infused olive oils and bottled sauces to DCA themed cooking gear – us Disney Foodies were in heaven! Throughout the day we tried a few more things like White Cheddar Ale Soup with Bacon in its own cute little bread bowl – it was cheesy goodness. 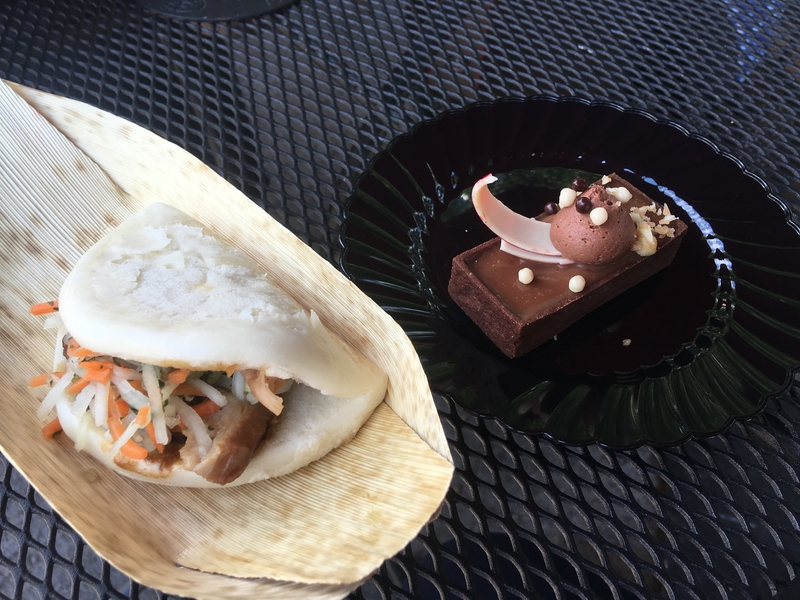 We grabbed ourselves a Pork Belly Bao Taco and a Milk Chocolate Caramel Tart as well. I have to say I would not try the Bao Taco again, the dough was less than flavorful. But yay for the rich and decadent tart – so creamy and delicious! Overall, I’d say my mom and I conquered our first official Disney Food and Wine Festival. It was a dream come true and if rumors are true, will be a tradition for seasons to come! 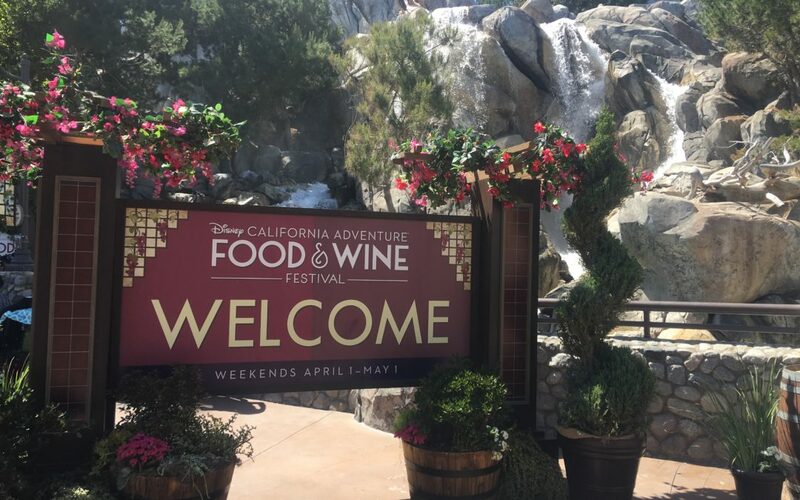 Tell us about your Food and Wine Festival experiences! What have you tried and tasted? We’d love to hear about it! 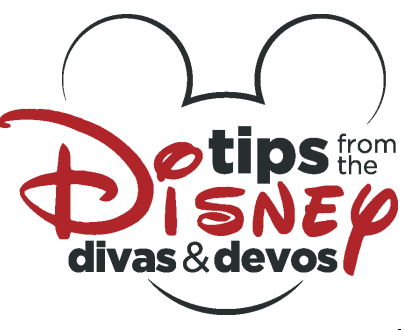 Ready to book your next Disney vacation? Contact Patricia from All for Dreams Travel here for a FREE quote!